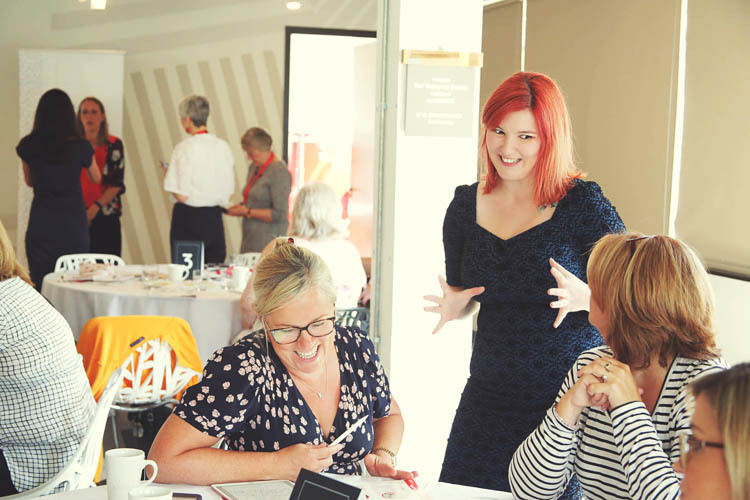 Jessica Lorimer is not only a fantastic Motivational & Selling Speaker. 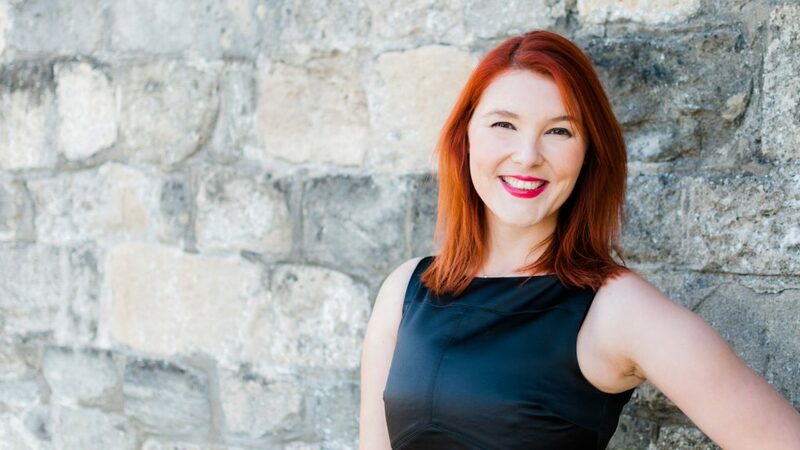 She is the sales coach for online service-based business owners. 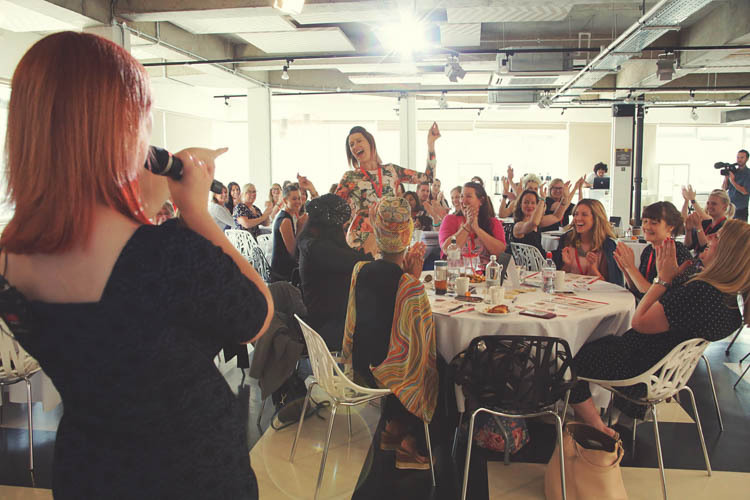 Jessica hosts a fabulous membership group: Fabulous Female Entrepreneurs. 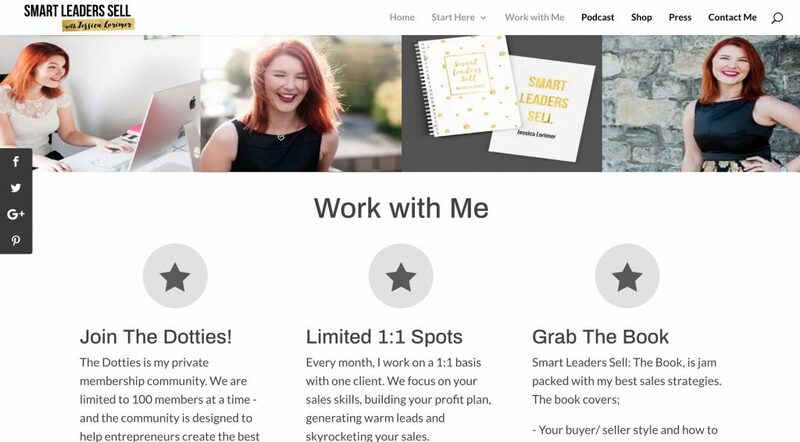 It’s here where she gives all of her training on sales. 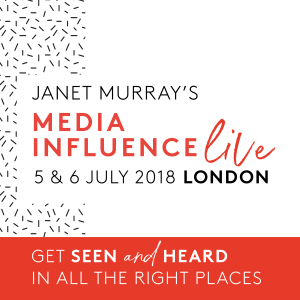 Jessica was on the keynote line-up for Janet Murray’s Media Influence Live. In the run up to the event, Janet and I released some joined up communications to both Speakers and Delegates on how my official photography could support them. I was thrilled to get booked in with Jessica. 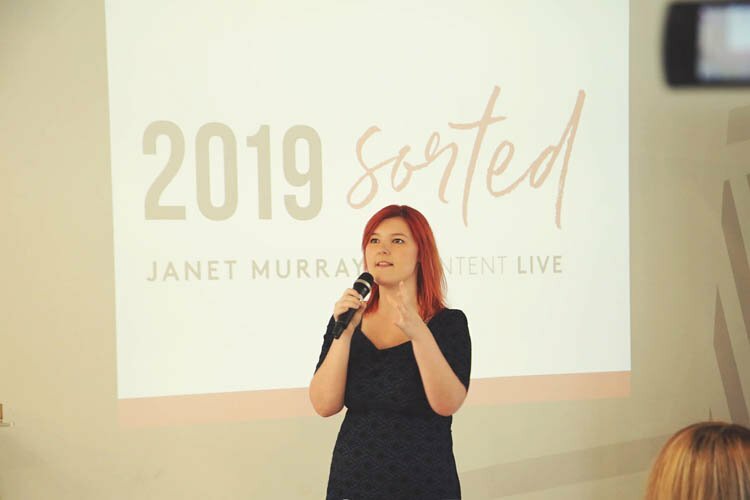 Janet is hosting another event later on this year, to help you get all of your content planned out for 2019. To get booked in for this simply click here. I really love Jessica’s Headshots. She and her photographer have captured her energy and colourful personality brilliantly. As well as capturing quick live shots at Media Influence Live, I wanted to ensure that I caught Jessica’s talk from ALL the angles. 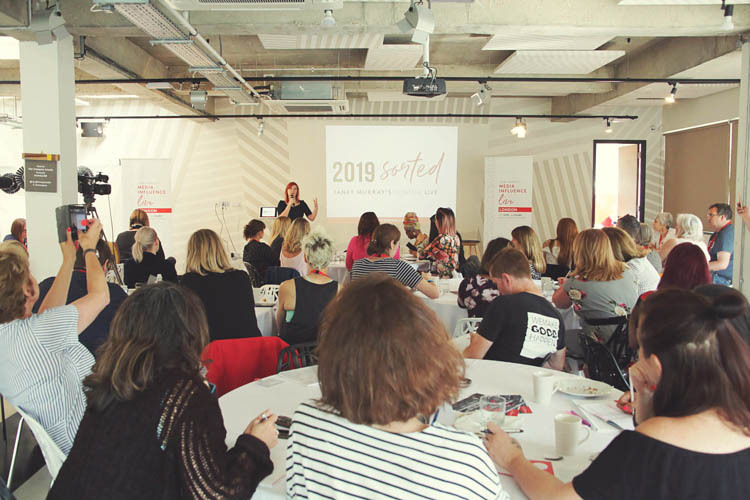 She was going to be delivering a talk followed by a workshop where she’d be working with the delegates and fielding their sales answers and ideas from the front of the room. Unlike a typical photography set up of “catch a few of them talking and thats it”. I shot the full talk and worked around the room to make sure we had a much richer set of shots to choose from later on. I really enjoyed getting into sync with the way that Jessica speaks. 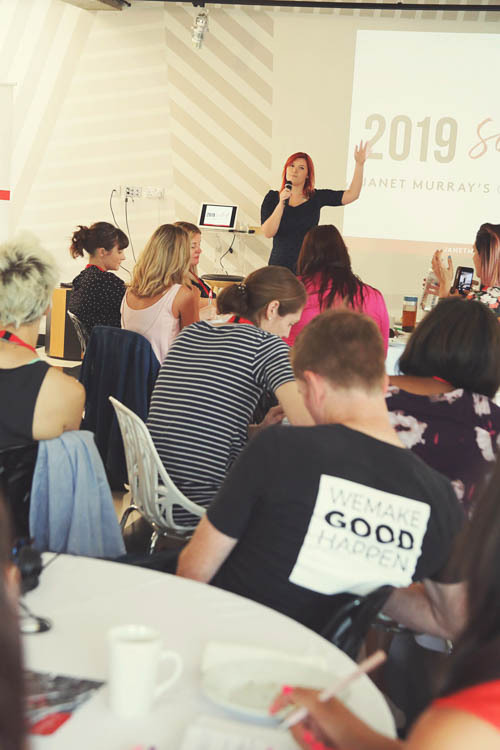 She is filled with energy and this seemed to build and build as she worked through all of the hot selling tips she had prepared in her talk. Oozing charm, becoming relatable through their personal story. Then you fall in love and want to find out much much more. Jessica is 100% the latter! You can see me talking about the superb style of The Trampery in my other write ups on Media Influence Live where I created headshots with Karly, Nadine and Christine. From this perspective I found capturing Jessica to be nicely varied. One half of the event space had a gorgeous gold and white wall feature on it. This worked like a dream come true with Jessica’s branding. The other side of the room was filled with strong sunlight. By this point in the day we had opted to make use of the blackout blinds. Take a look and see if you can see this variation in lighting. Gorgeous gold wall feature reflecting Jessica’s dazzle. Look at the ferocious notes being taken here! Huge thanks to anyone that either of us need to thank officially in helping get the shoot to happen. It might be the venue we used or something else behind the scenes we need to mention in here. If you are a professional speaker, and you want more paid bookings, let’s capture some live photography of you next time you are on the stage. You can let me know which event you are going to be speaking at next here, and I can build it into my on the road plans. 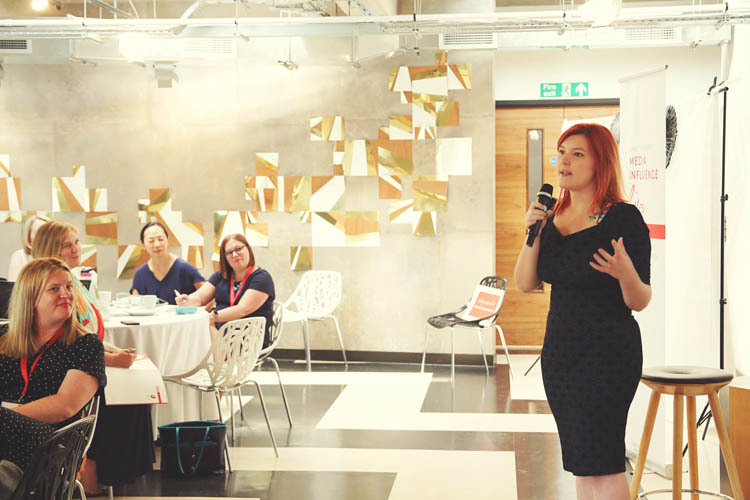 You can head direct to the Headshots Gallery to see more of my Speaking Clients results and get ideas for how you would like to shoot with me for yourself.